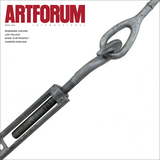 View of “Atmospheric Abstraction,” 2015–16. 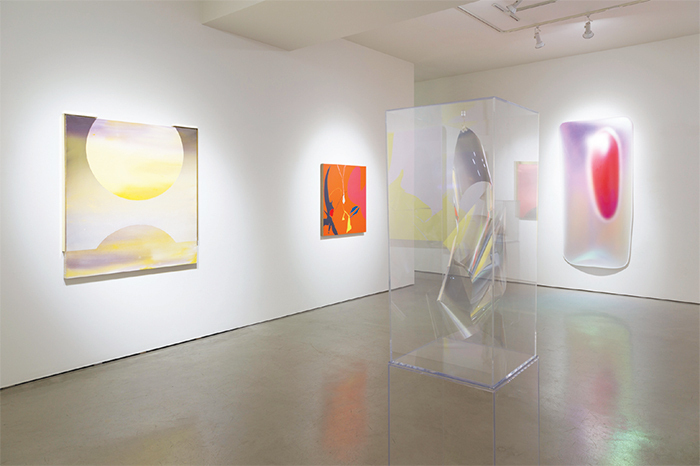 From left: Mara De Luca, RAMONA 1 (SV), 2015; Heather Gwen Martin, Cave Song, 2015; Larry Bell, 3D VD 1.30.15D, 2015; Gisela Colón, Mega Rectanglopoid Glo-Pod (Iridescent Red), 2014. Photo: Philipp Scholz Rittermann.